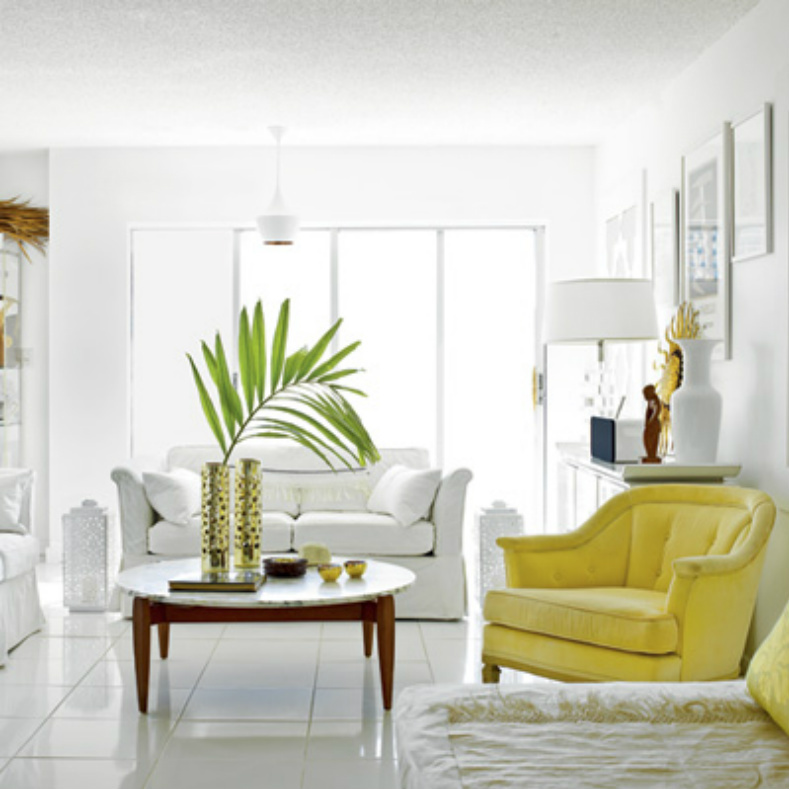 Bright yellow bursts of color in an all white room always works to add excitement and interest to a room. Theses are a few examples of how just a little dash of color can go a long way. White slipcover sofas against the white walls and floors are highlighted by the pop of yellow in the club chair. 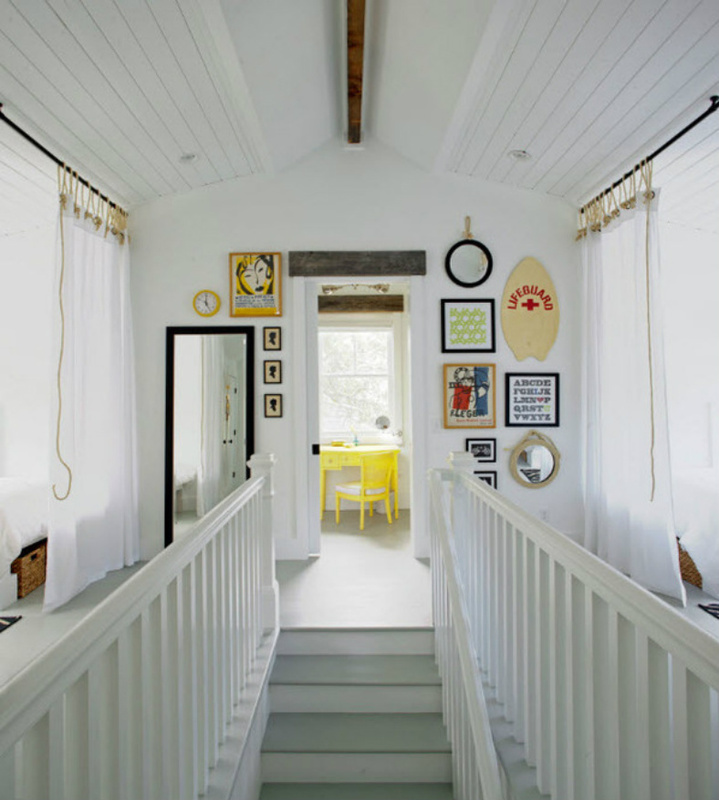 The white staircase leads up to a cute bright yellow desk and chair which really stands out. 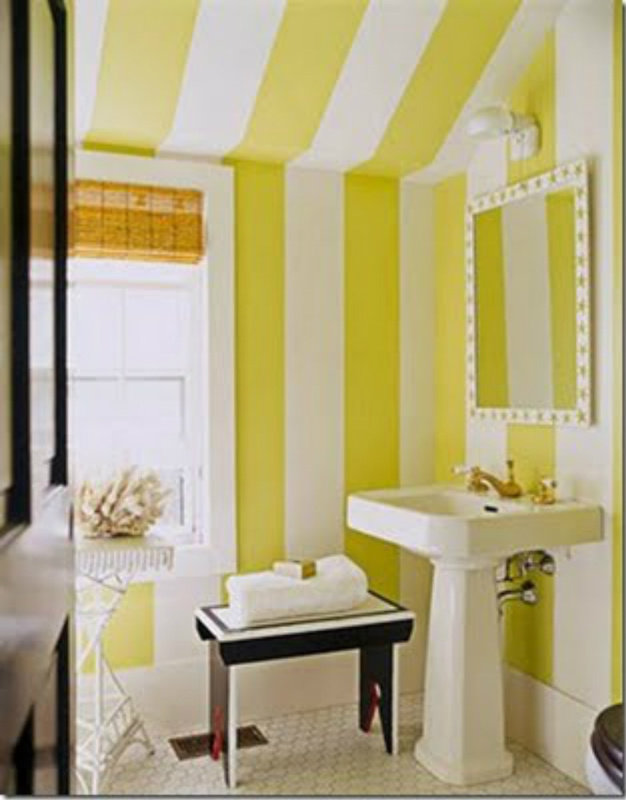 Yellow and white boathouse stripe wallpaper creates a sweet coastal bathroom. We love these white bunk beds with circular features, a touch of light aqua and the perfect amount of sunshine added by the yellow pillows. This Hampton style kitchen in a sleek white is beautifully complimented by the touches of yellow. 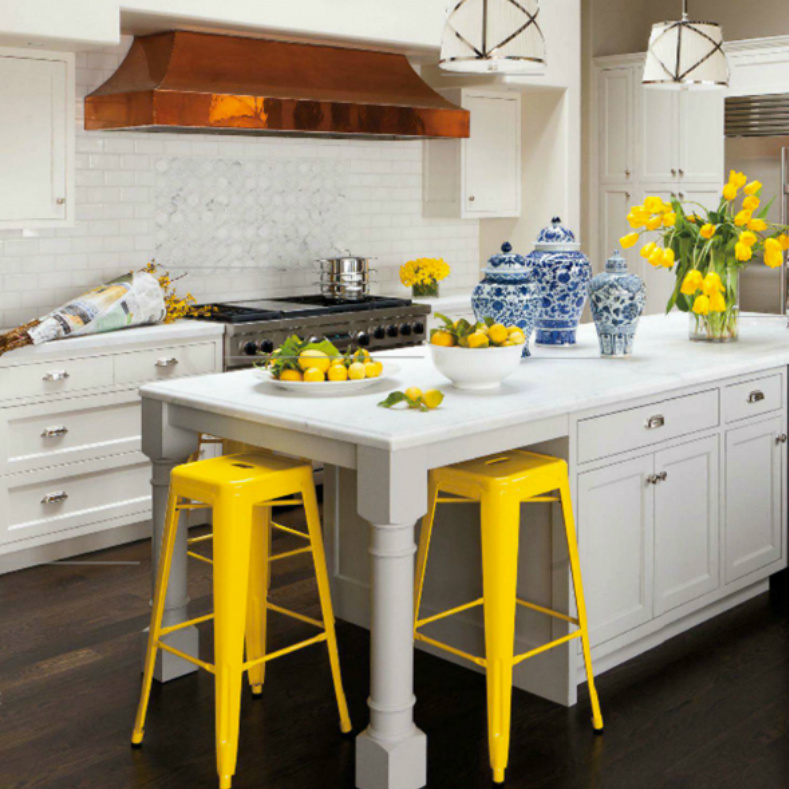 From the industrial bar stools to the lemons and tulips, this kitchen glows. 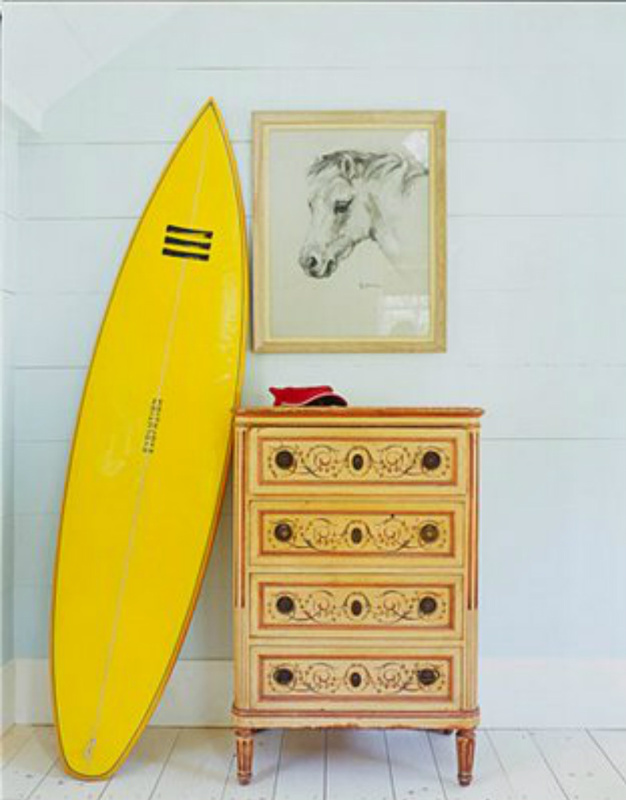 The yellow long board tipped against the chest of drawers, reminds us of the last days of Summer. Light natural wood floors with matching table and chairs look amazing in the bright yellow fabric, it seems to brighten the entire room.